The relationship will allow Citymob to grow its product offering and expand its customer base. 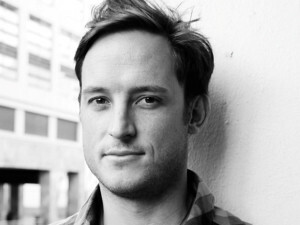 Citymob aims for between 700 000 and 800 000 subscribers by year-end, says co-founder Luke Jedeikin. Online retailer Wantitall has invested in online design retailer Citymob.co.za, allowing Citymob to upscale and increase its product offering, as it will have a better distribution system. Luke Jedeikin, co-founder of Citymob, says the entity, which went into the e-commerce design space last July, spent six months focused on its product and brand, but was battling to keep up with demand. He explains that the investment, the value of which was not disclosed, provides it with improved systems, logistics, warehousing facilities, increased access to customers, strong supplier relationships and improved staffing. Jedeikin adds the investment, which also provides Citymob with access to intellectual property, will allow it to upscale quickly. "Citymob was looking for partners that could bring with them the required expertise and help us grow, and we believe we've found the perfect fit with Wantitall." Citymob started working with Wantitall in December and, before the relationship kicked off, consumer complaint forum Hellopeter.com was full of "unhappy faces", says Jedeikin. He says the relationship benefited Citymob and the change was almost immediately apparent on Hello Peter. The site started as a group buying entity and intended to grow slowly, but was surprised by the uptake of its offerings, says Jedeikin. Last July, an average of 80 products were sold daily via the site and the Citymob database contained around 50 000 members. Citymob offers niche design products that range from retro posters to old-style colourful bicycles. Jedeikin says it works on a push basis, by creating a need within people for unusual premium design products. "We want to be that filter of cool." Jedeikin says it aims for between 700 000 and 800 000 users by year-end, and it wants to sign more brands on an exclusive basis from international markets. He adds that it is launching four new products daily, and will double this by the end of the year. Citymob has also gone from selling around 80 products each day on average and is now shipping "thousands" of items, says Jedeikin. To meet the increased product demand, Citymob grew its staff complement from 14 people, in July 2012, to 35, in February, including warehouse staff. "We've been working on a highly-automated warehouse system over the past few years and more recently have been seeking a partner with whom we could share this with," says Wanitall founder Justin Drennan. Wantitall offers more than 14 million products online. Citymob was founded in November 2010 by three local entrepreneurs: Claude Hanan, of Kanan Wealth, formerly of Allan Gray; Luke Jedeikin, formerly at Coley Porter Bell, and Daniel Solomon, formerly from Metadata and Netapp.